Al Faisaliah Hotel, a premium five-star property in Riyadh, Saudi Arabia, invites guests to celebrate this Eid with a delicious breakfast buffet at the Fawanees tent. Known for its generous offerings in one of the city’s most iconic spots, the venue is the perfect place to pamper family and friends with a lavish breakfast spread. The Eid breakfast buffet at Fawanees showcases a variety of traditional as well as international dishes including Arabic, Western, Asian and Indian sections. The spread also includes a live sushi counter, salad bar, bread display and much more. With the Arabian spirit embodied in all its glory, guests will be able to immerse themselves in the majestic atmosphere of the Fawanees experience and enjoy a grand breakfast buffet full of culinary delights from the Arab world and beyond. 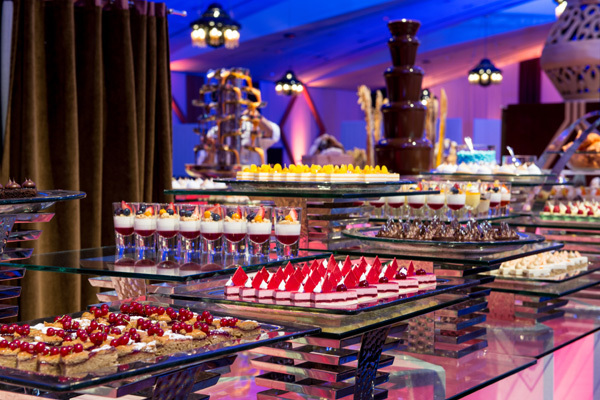 From popular international delectables like pancakes, pastries, hash browns, eggs and noodles, to exquisite dishes like smoked fish platter, truffled eggs with duxelle, Tunisian shakshouka, and Belgian waffles & cinnamon French toast, the buffet is guaranteed to satisfy even the most discerning of palates. Eid breakfast at Fawanees restaurant will open on Saturday, June 16 between 6:00 am and 12 noon, and will include live cooking stations, hot beverages, and fresh juices. Prices at Fawanees are SR250 ($66.6) per guest and SR125 ($33.3) for children between the ages of six and 12.